Can A $31,000 Artificial Fish Help Keep Water Pollution in Check? For the purpose of tracking sea pollution, a group called SHOAL Corsortium has launched a number of artificial fish off the northern coast of Spain. The fish, which are around 5 feet long and cost about $31,600 each , are designed to swim like real fish. They have sensors that pick up and report pollutants. The great advantage is that the technology allows pollutants to be detected and reported in seconds as compared with the weeks required by the traditional method of collecting samples and sending them to a laboratory for analysis. Equipped with artificial intelligence, the fish can navigate their surroundings and find their way back to shore when their batteries need to be recharged. If one fish detects significant or unusual pollutants, it can communicate with the others so that all can search together for the source, potentially spotting leaks or spills much faster than by conventional means. In addition to detecting pollutants, the robotic fish might also be used for applications like underwater security and search-and-rescue efforts, their inventors say. 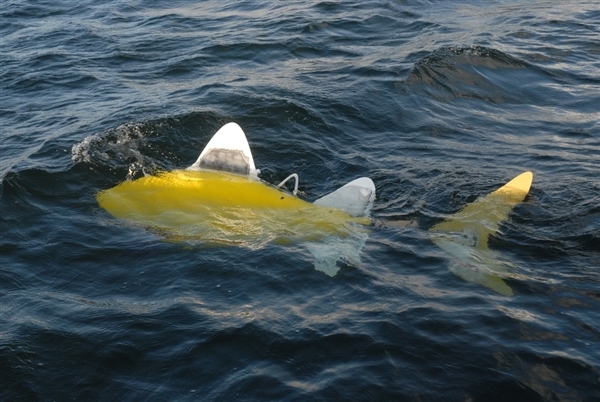 The development of the robot fish was funded in part by the European Union aided by a weapons maker and various universities. The fish were made to resemble real fish because Nature’s excellent design gives them a short turning circle. They are even provided with an alarm system to alert monitors of mishaps, such as being caught by fishermen. If all goes well, the Consortium hopes to produce the fish commercially.